The time police civilian staff spend monitoring CCTV footage will be cut by half in the New Year to save cash. From January 1, the 82 remote cameras that cover Falkirk Town Centre and other ‘hot spots’ around the district will continue to run 24/7 - but the images only viewed at selected ‘peak’ times. The move will save Falkirk Council £75,000 a year. Councillors agreed the controversial saving when the executive met on Tuesday. The SNP challenged the move saying CCTV plays a “major role” in preventing and detecting crime - but the Labour administration won the vote eight-three. Stuart Ritchie, director of the council’s corporate and housing services, said when the current deal to provide full time monitoring ends on December 31 the council had four choices - including scrapping completely the service only set up in Falkirk Police Station in April. The current iniative costs £196,000 a year with the council paying £146,000 and Police Scotland the balance. The force also provides the staff to carry out repairs. 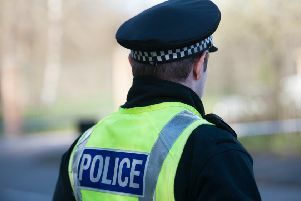 Chief executive Mary Pitcaithly warned there is “no guarantee” Police Scotland will continue to contribute £50,000 next year and its entire CCTV operation is under review. He said that in contrast Clackmannanshire Council, which now operates a recorded-only service with no live monitoring, is one place in Forth Valley where crime is on the increase. The executive also agreed that the council write to Mr Matheson demanding equitable pro-rata funding of vital CCTV services across the country.